Most presidents have stayed clear of the independent Federal Reserve System of banks, but not Donald. He started a Twitter war, named the FED the 'greatest threat to the economy' and has toyed with the idea of firing the chairman. One of the Federal Reserve's most treasured privileges is its independence. President Trump is challenging this, big-time. This is a battle of the minds in the grand chess match of creating a patsy for the fall of the economy. 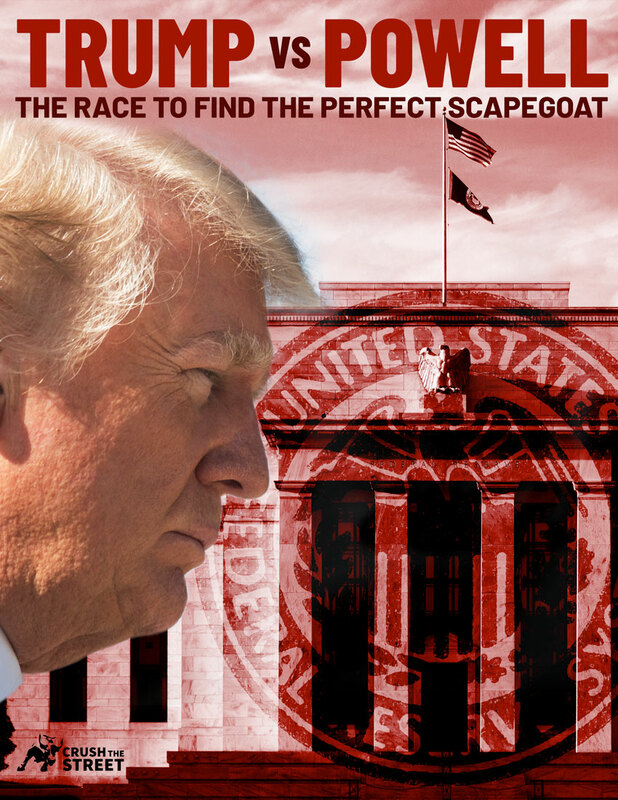 Download TRUMP VS. POWELL: THE RACE TO FIND THE PERFECT SCAPEGOAT now!